Lay salmon filet on large piece of tin foil (shiny side of foil facing up). 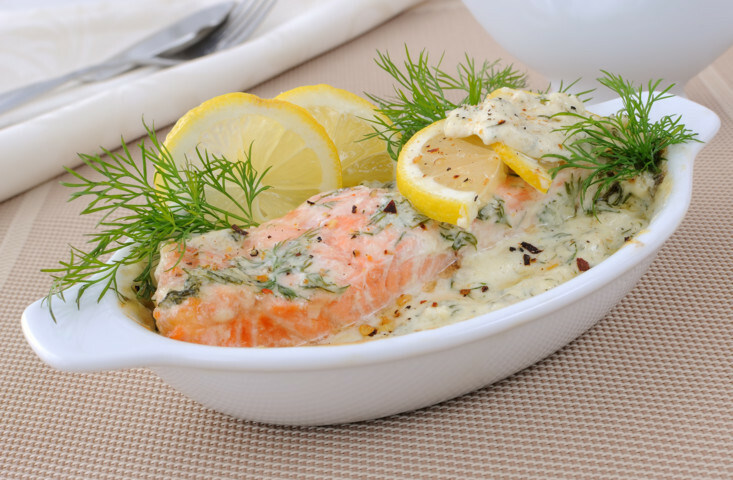 Sprinkle salmon with lemon juice. Spread enough mayo over salmon to cover the filet. Season with enough dill to cover the filet. Make a “tent” around the salmon with the foil. BBQ on medium heat until salmon is cooked to your liking.